Great quality for me and my pet! 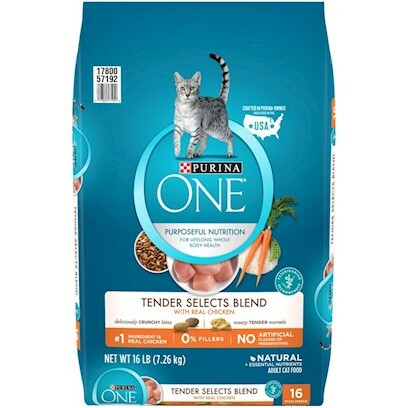 Great cat food - kitty thought it was delicious! My cat is a Picky eater!! All 3 cats loved the food! Big hit with the cats!!! My Cat Just Wouldn't Eat It. Your cats will love it. She loves the chicken flavor. 5 stars! My cat loved it! This is the Cat's MEOW!!! Nice addition to my cat's diet.